Power banks or portable chargers can be a lifesaver during travel. Both professional and leisure travellers have to rely heavily on their dependable portable chargers to power their latest battery hungry smartphones, tablets and laptops. In the recent years, many latest technologies have ensured that the powerbanks have become lighter and at the same time capable of powering even AC powered devices for extended periods and that too more quickly than ever before. We have carefully handpicked the best powerbanks for travellers that offer a combination of portability, versatality, and dependability for travellers. All our recommended powerbanks here are TSA approved for carry in cabin baggage (carry-on baggage) on flights. If you are asked by the TSA agent regarding the safety worthiness of your powerbank, point out the Wh rating on the powerbank. TSA and other international flight safety agencies allow powerbanks less than 100Wh, ( that is less than 26,800 mAH). Anker PowerCore 26800 PD 30 watt has maximum battery capacity allowed by the TSA for air travel and can charge all your latest smartphones (including Samsung S9, Note 9, iPhone X, iPhone 8 etc. ) at the highest possible speeds. Anker PowerCore 26800 PD will also charge the latest iPhone X, and iPhone 8 at the fastest possible 18watt charging speed (50% in 30 mins). 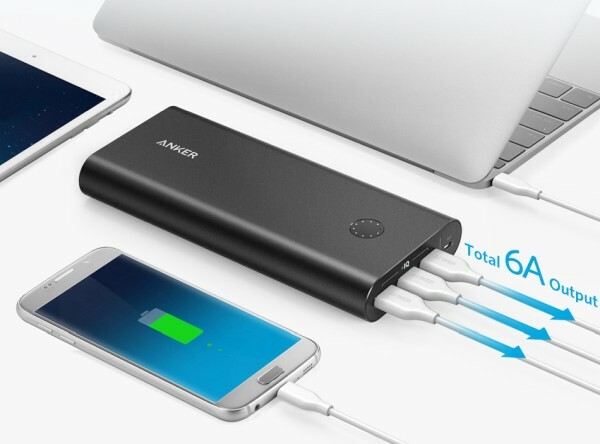 This portable charger also charges Macbooks at 30 watt charging speeds. You can fully charge iPhone 8 nearly nine times with this portable charger. Samsung Galaxy S9 can be fully charged almost 6 times with it. The Anker PowerCore 26800 PD 30 watt gets fully charged with the included wall charger in just 4.5 hours – making it a great travel companion. It has a total of 3 charging ports, which ensures you have can charge multiple devices at once. The 1 pound total weight is lighter than all other chargers of similar capacity in the market. Charge Macbooks at high speed. If PowerCore 26800 PD seems too heavy at 1.1 pounds, then PowerCore Speed 20000 PD is a great light weight and high capacity portable charger weighing just 13 oz (360 grams). PowerCore Speed 20000 PD charges all the latest Android and Apple smartphones at the highest possible speeds. It can also charge Macbooks at pretty decent 24 watt charging current. iPhone 8 can be fully charged nearly 7 times with it while Samsung Galaxy S9 can be charged almost 5 times with it. The PowerCore Speed 20000 PD has 2 charging ports – one USB-C port and a regular USB port. The PowerCore Speed 20000 PD powerbank can be fully charged in just 4 hours using the bundled 30 watt PD wall charger. Charge Macbooks at pretty decent 24 watt charging output. 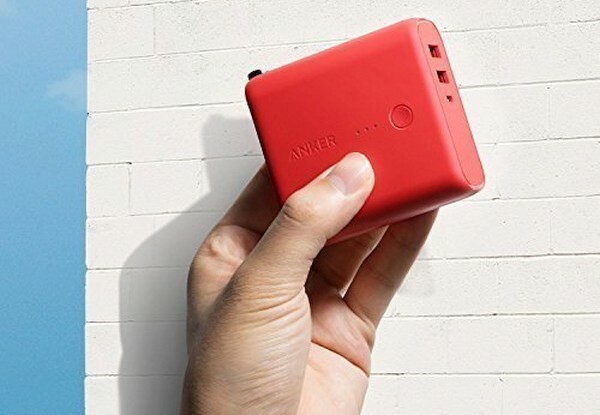 Anker PowerCore II 20000 is our pick as the most reasonably priced travel portable charger. PowerCore II 20000 will charge the latest Android smartphones including Samsung S9, S8, Note 9, Note 8, etc at the fastest supported 18 watt charging output. It will also charge iPhones at pretty fast 2.1 amps charging output. PowerCore II 20000 weigh just 13.3 oz (360 grams) and can be fully charged in 5 hours using the any Quickcharge wall charger such as the Samsung S8/S9/Note 9/Note 8 wall charger. 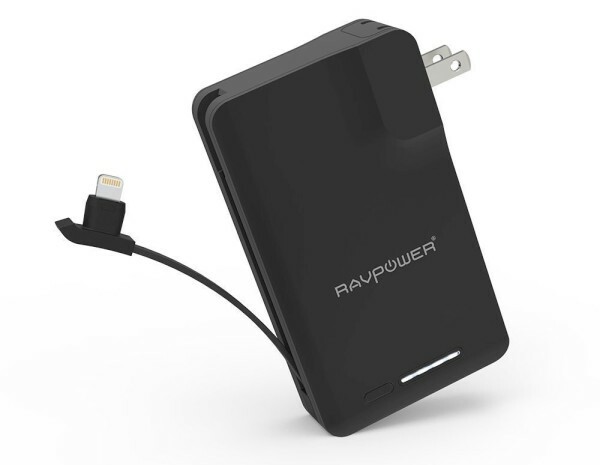 Ravpower Savior 9000 is a true all-in-one travel charging solution. This incredibly handy gadget combines a wall charger, a 9,000 mAh powerbank, a lightning cable, and an micro-USB cable in one. This makes it perfect for travellers as they do not have to worry about packing each of these items separately. Savior 9000 will charge most Android phones such as Samsung S9, Note 9 etc. twice and most iPhones 3 times. This handy gadget weighs just 8.6 oz (280 grams). Ravpower Savior 9000 gets fully charged in just 5 hours. Adequate capacity – charges iPhones thrice and most Android phones twice. The charging speed of micro-USB cable is for Android phones is 1 amp. This is good but not satisfactorily fast. Minimum 2 amps is preferable for a powerbank especially during travel. 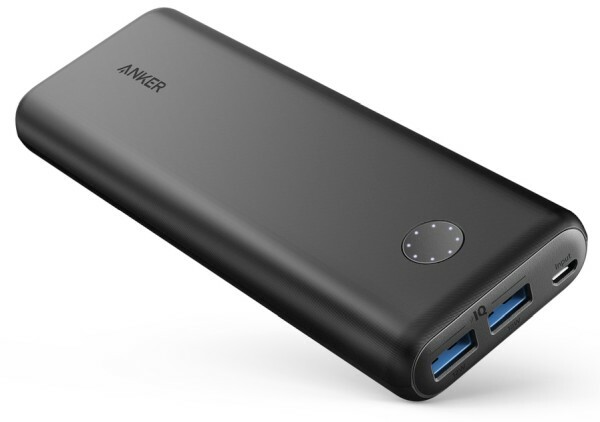 Anker Fusion 5000mah charger weighs just 7 oz and can charge almost all Android phones such as S9, Note 9 etc once. It can charge most iPhones almost twice. When used as a wall charger, Anker Fusion 5000mah charger first charges your device and then charges itself, This means that you do not have to remember to separately charge your powerbank. It gets fully charged in about 2.5 hours. MaxOak 50000 mah portable charger is especially designed as a charging solution for road warriors. This heavy duty portable charger has adequate juice for charging most iPhones about 18 times and most Android phones about 12 times! One 12 volt port for various devices such as cameras. Maxoak 50000 can charge most laptops including the popular HP Spectre 13 and Dell XPS 13 series of laptops thanks to its maximum output of 90 watt via the 20volt port. 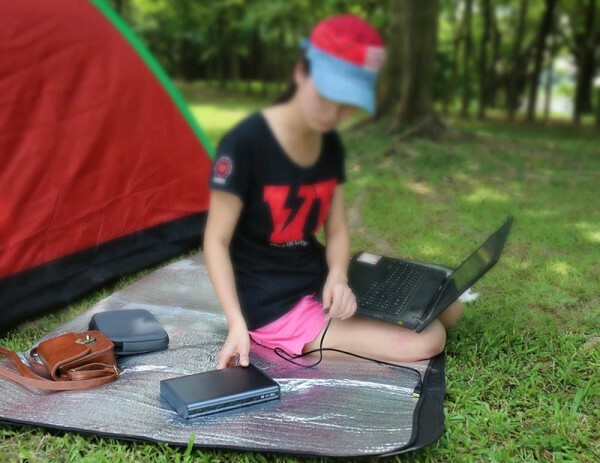 MaxOak 50000 mah portable charger charges laptops via a dedicated 20 volt DC port, which is the best way to charge laptops using a portable charger is it eliminates energy wastage involved in charging via AC outlets. 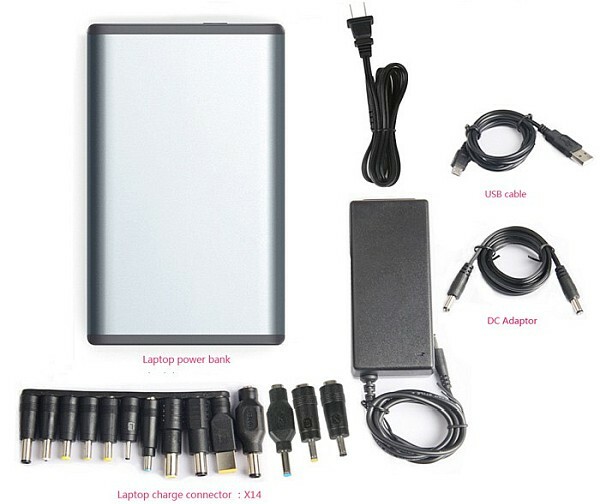 The MaxOak 50000 mah portable charger comes with a set of pins to suit a 14 types of laptops charging pins/ports. MaxOak 50000 mah portable charger comes with its own dedicated wall charger that charges it fully in just 7-8 hours. This heavy duty portable charger weighs 2.77 lbs which is preety decent given the provided functionality and the fact that it is primarily intended for car and emergency use. Please Note that MaxOak 50000 mah portable charger cannot be taken onboard flights as it exceeds 100WH limit set by international air safety regulators. Maxoak 50000 comes with power connector pins for 14 types of laptop connectors including those of Acer, Toshiba, Dell, HP, Sony, Fujitsu etc.